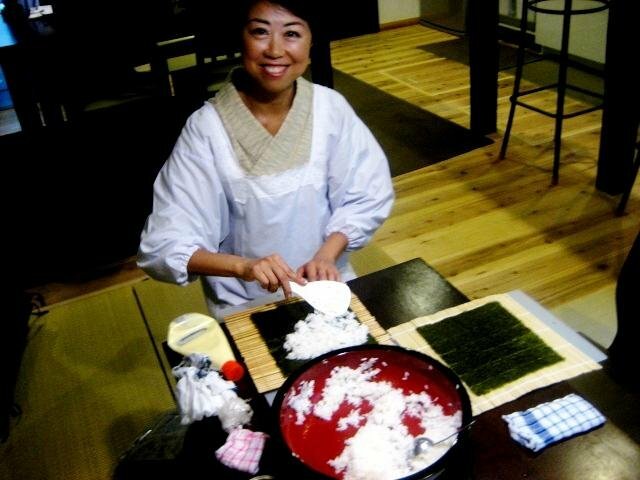 Kaori Bushimata is the embodiment of ometenashi, or the spirit of Japanese hospitality. 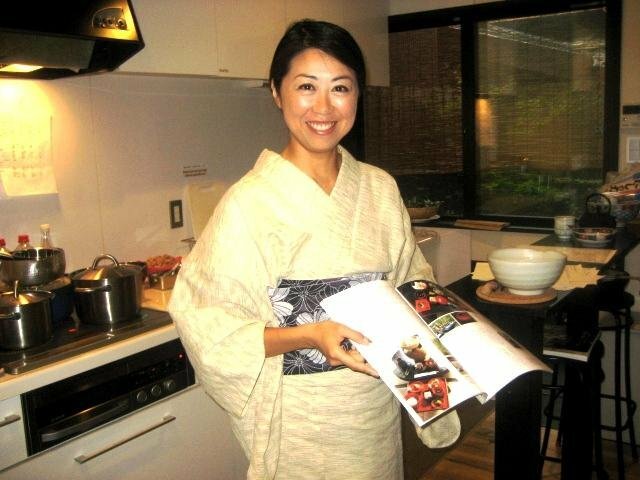 From her detailed culture and history notes that accompany every class, to the careful explanation of the raison d'être behind each dish, she takes us on a step by step journey with into the world of Japanese cuisine that only an insider can take us, taking care that we don’t trip on the way or forgetting to see that we are part of the evolution of gastronomic culture. Bringing together her childhood home cooking memories and her love of cooking shows, her classes are deeply rooted in history, yet she somehow personalises it for each class, giving a feeling that I am cooking with an old friend rather than sitting in a lecture. 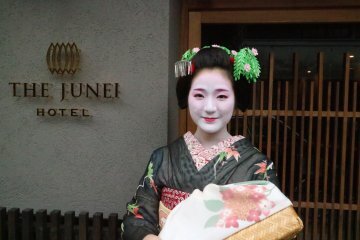 Formerly a flight attendant, she has come home to start a guesthouse called Roujiya. 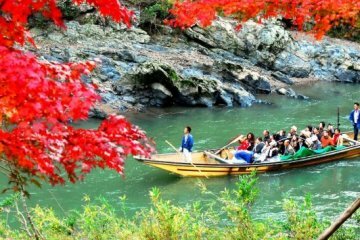 The word “Rouji” means a narrow alley coming off a main road, and the concept behind the name is that when people travel , they should consider deviating from the ‘main street' of their lives and explore the ‘rouji,' and take a fresh look with their heart and mind. 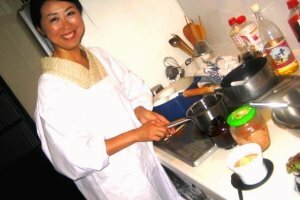 So this peaceful Kyoto housewife's kitchen we begin our class on a quiet September afternoon. 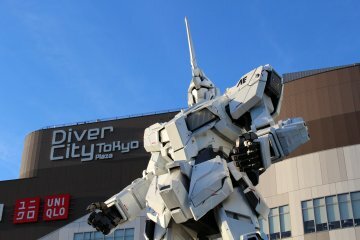 We start from the very beginning, by deconstructing Japanese gastronomy to its basic elements of taste. 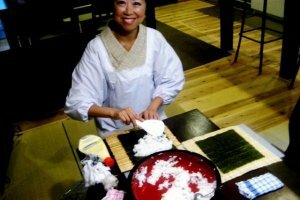 She explains the origins of umami, by cutting a slice of kelp and asks me to feel it, to smell it and then to taste and chew it. It is like putting a seashell close to your ear and listening to the waves and smelling the salt air of the ocean breeze. Even though the dry kelp looks lifeless and devoid of smell, when you smell and reflect on it, you can smell and feel the ocean. 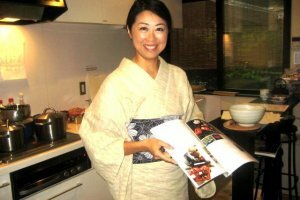 Taking the cooking class with Kaori in the quiet of her Kyoto machiya townhouse is a lesson in mindfulness. By deconstructing cuisine to its most basic elements, from chopsticks to the shape of the chopstick holders, you focus on each jigsaw piece, which together paints a picture of a rich culture and people reflected in its food and manners. 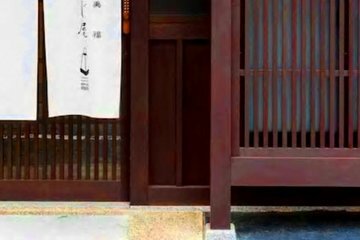 There are elements of Zen and the tea ceremony in the mindfulness you feel as you take the class, from the simple appreciation of the bowls and plates, to the flowers that bring the ethereal feeling of the seasons inside the home. Today is the eighth month of the lunar calendar, which is the end of summer, or September in the western calendar. Chrysanthemum blooms signify the end of summer, which is both beautiful and full of anticipation for the thanksgiving at harvest time. 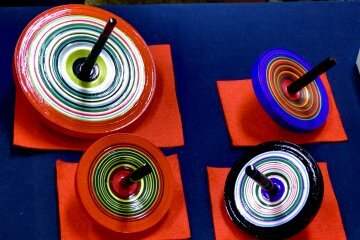 By preparing each of the dishes from scratch, you mentally ready yourself as you cut the spinach or whisk the rice. There is a feeling of timelessness as we are connected with the most simplest and primal of tasks, of cutting, stirring and grinding nature’s ingredients. It is like meditation, without being consciously aware that I am mediating. 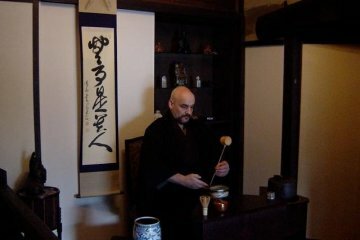 As I meditate by grinding the lightly roasted sesame seeds, Kaori recalls her grandmother’s tale, telling me to continue to grind in the same direction, least I be afflicted by bitter tasting sesame seeds. 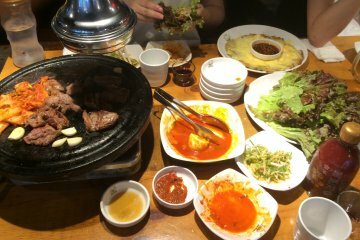 As her dishes are only delicately seasoned, it allows the ingredients to shine. At the same time, using second rate ingredients will mean you have nowhere to hide. 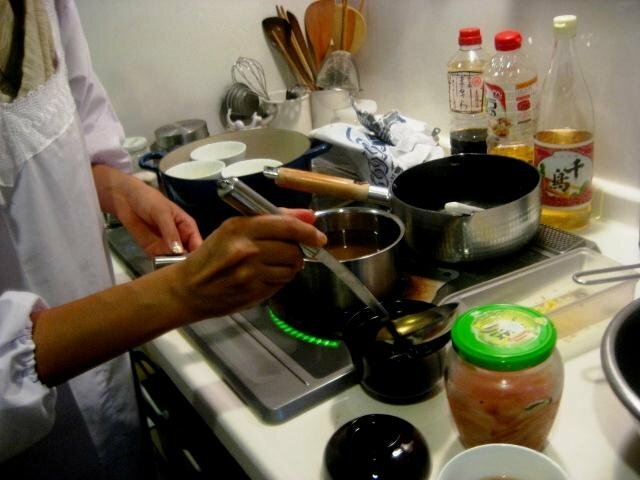 That is why she used Kyoto spring water instead of tap water to make the Dashi broth. When I cooked the kelp in the spring water, I can taste the ocean. 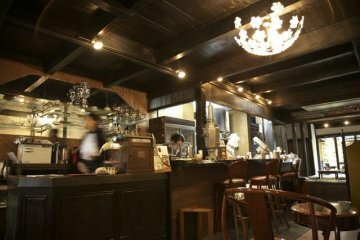 At the same time, it is not an overpowering taste, almost like a savory kind of tea. 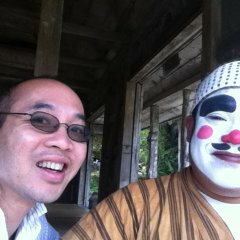 It reminded me of my beloved comfort food, Ochazuke. 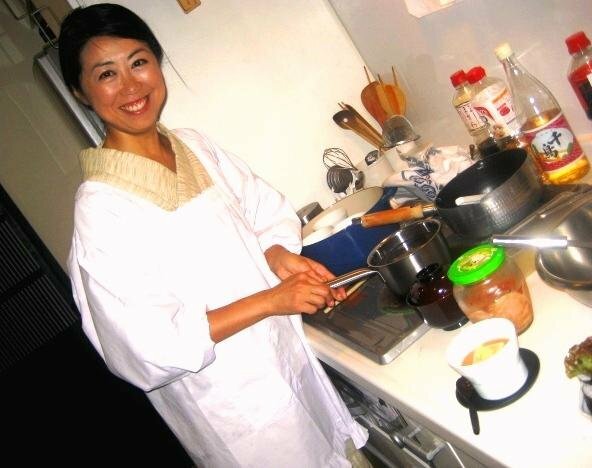 Dashi is the foundation of many Japanese dishes, which was why Kaori taught us how to make it. 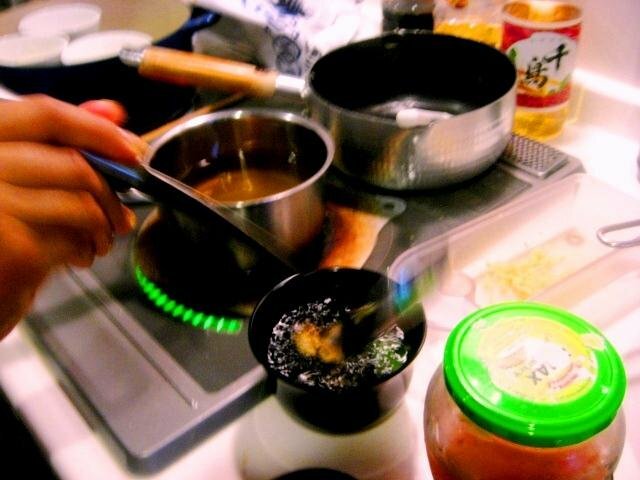 So by mastering the art of making dashi, you can use it for a lot of dishes. We then journey back in time to the Heian Court a millennia ago. 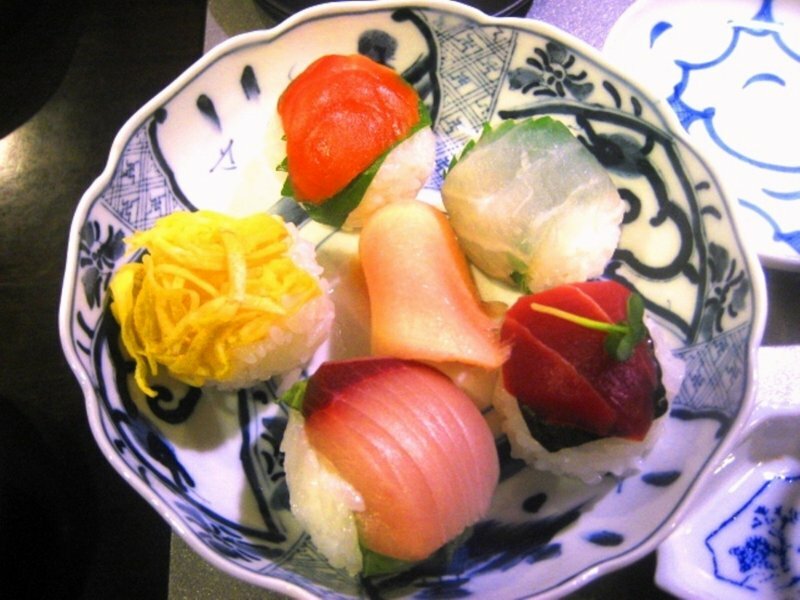 The evolution of Japanese cuisine is highlighted in Kaiseki cuisine. 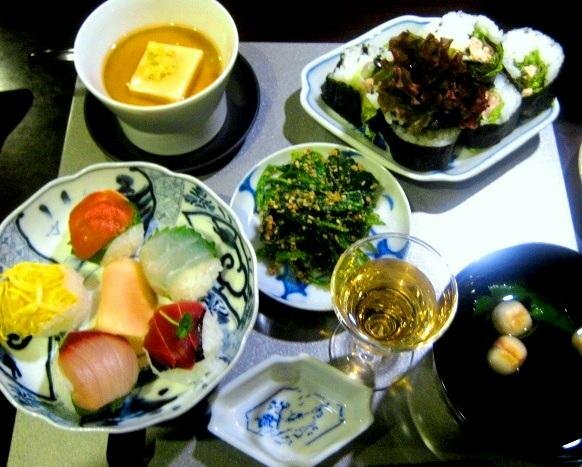 The original Zen "kaiseki" 懐石料理 was a light meal taken by monks to aid meditation. 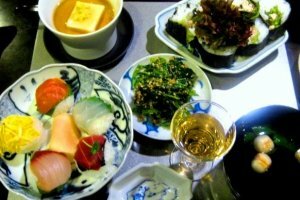 These days, the homonym, also called Kaiseki, but written 会席, or a banquet course, is seen as the high point of Japanese cuisine. 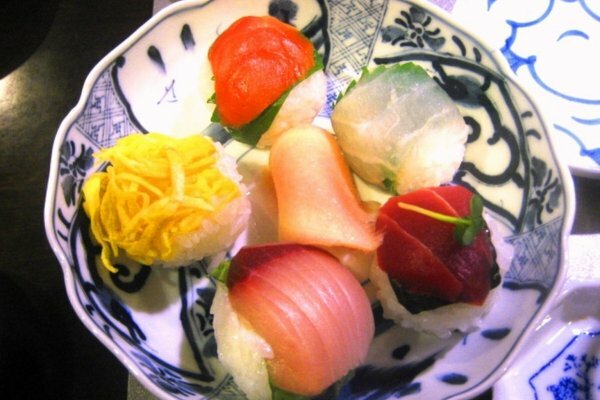 I also learnt that sushi used to be street food in its heyday, not elevated to the gastronomic temples of today. Who knows, but the street food of today, like takoyaki, may become the haute cuisine of tomorrow? Roujiya is a short ramble through the back streets of Nijo, about 10 minutes south-east of the train station.